Photo: Transport for New South Wales. An opening ceremony has been held at a new depot and control centre for the CBD and South East Light Rail route in Sydney. 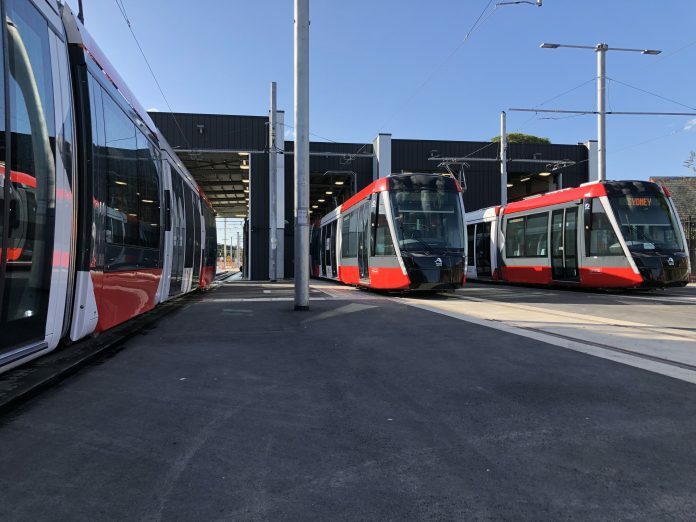 Six trams are currently housed at the new Randwick Stabling Yard and two more will be delivered by the end of August, Transport for New South Wales has confirmed. As well as stabling and light maintenance facilities, the site includes the operational control centre for the CBD and South East Light Rail network. Civils works are coming to an end on the project and daytime testing will soon begin.